I read this article and found it very interesting, thought it might be something for you. 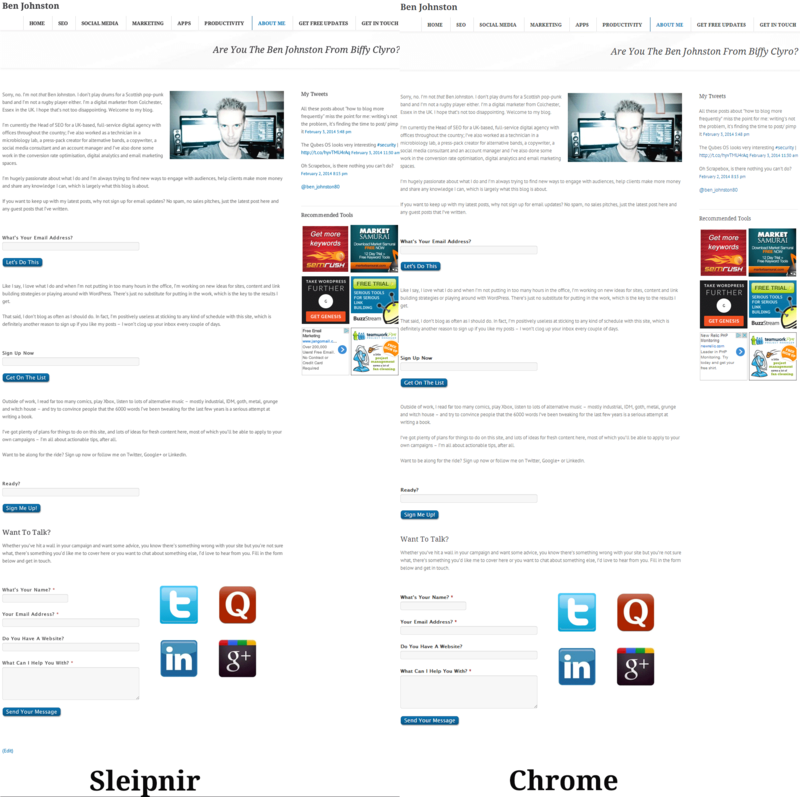 The article is called Back To The Browser Wars: The Winner Is Sleipnir and is located at https://www.ben-johnston.co.uk/browser-wars-sleipnir/. A couple of years ago, I wrote a post about my difficulty deciding on a “main” browser, the advantages and disadvantages of Chrome and Firefox and what I used each for. That difficulty of choice continued, but it largely resulted in Chrome becoming my day-to-day browser, with Firefox dropping in for testing and serious site audit work. That changed recently. With my ongoing concerns about privacy, Google probably using Chrome for data collection and ranking signals and, frankly, Chrome still rendering text like a Sega Master System, I decided to break away from Chrome and look for an alternative. The problem with doing that was that Chrome has a load of really great plugins that either don’t exist in Firefox or are just really clunky in it. A lot of them were plugins that I used daily too, like Check My Links and Any.Do, so I was presented with a bit of an issue. Then, quite by chance, I saw a Tweet about Sleipnir. It sounded interesting, so I downloaded it. To say I was impressed would be a massive understatement. 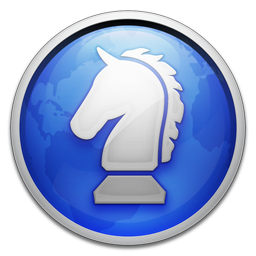 Chrome and Firefox are officially getting kicked to the curb across the board in favor of Sleipnir and Aviator. 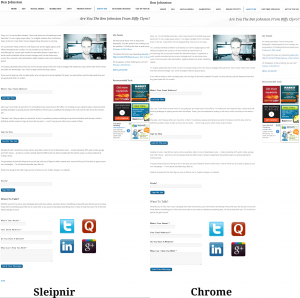 All your Chrome extensions will still work with Sleipnir. I haven’t found my way to the apps section yet, so I’m still using Chrome for SocialBro and those times when I want to play a couple of games that I’ve installed, but apart from that, it’s now my “main” browser. I can use it for work and for general browsing and, due to the way that it works, I’m less worried about Google getting all my user data. It’s not rock solid from a privacy perspective – no “stock” browser is, so if you’re worried, I recommend getting a VPN/ TOR setup for anything you really don’t want people to find out about (remember, kids – it’s TOR to VPN, not the other way around), but it still seems like steps have been taken in that regard. Sleipnir does use Chrome’s user agent, though, so I think that might bear some further investigation. This is one of the real “standard” user benefits of Sleipnir for me. Let’s be honest with ourselves for a minute – text within Chrome looks damned ugly. Google have created their own font set, but they still look blocky in their own browser! I’m not going to pretend for a second that I know how it does it, but text in Sleipnir just looks nicer. 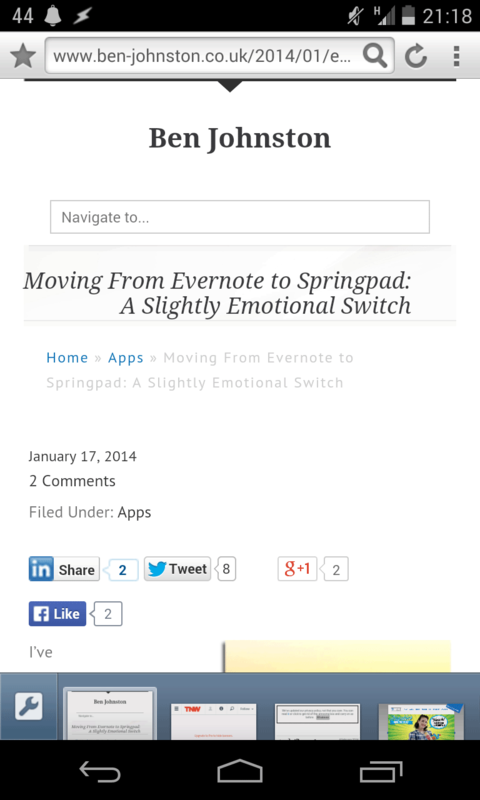 Have a look at my About page in Chrome and Sleipnir in the screenshot below. Which one wins? No matter whether I’m using the web for work or pleasure, it’s just a much nicer experience. Again, this is a benefit that crosses the “standard” and “power” user divide. Most people have quite a few tabs open at any one time and it can be a real pain to find what you’re looking for when they’re all scrunched up the way Chrome and Firefox do it. In Sleipnir, all tabs are thumbnailed, so you can actually see the page that you’re looking for, and you can switch “themes” based on a particular set of tabs, which can be really useful. It certainly makes my management of “professional” and “personal” tabs easier. This is absolutely brilliant on my home machine where I have large widescreen monitors, but it’s a bit less impressive on a small 4:3 monitor setup like I have at work. It’s also not possible to drag one tab out of the window in order to create a new one, which can be a little irritating at times, but it’s so flexible that it’s not much of a worry. As you’ll know if you’re a regular reader, I’m a bit of an Android fanboy (I know, doesn’t do much for the privacy concerns), and with my desire to remove as much friction as I can between devices, a mobile version would be essential. Fortunately, Sleipnir is available for Android phones and tablets and IOS devices too, if you’re an iFan. I can’t speak for the IOS versions, but the Android versions are pretty damned solid. They bring all the functionality that I like with the desktop version and have their own ad-blocking extensions as well, so they’re well worth checking out. Sleipnir has also become my main browser on my phone and tablet. Nothing is perfect, and aside from the issues I’ve already mentioned, there are a couple of disadvantages with Sleipnir. The main one is that it’s really not that easy to edit the default search engines in the current version. Being based in the UK, I don’t really want search results from Google.com and I just couldn’t figure out how to change that within the standard settings. Turns out you can’t, but there is an incredibly helpful user community that talked me through it. You can find the thread here. I’ve also experienced some syncing difficulties with XMarks, which is far from ideal when you switch between browsers as often as I do. I’ll reach out to XMarks over this and will update this post when I hear back from them. These issues are all just teething problems as far as I’m concerned though. I love this browser and see it being my weapon of choice for a long time to come. This post might sound like a love letter to Sleipnir, but I can assure you: no money has changed hands for this post and I am not an affiliate. I just really like this browser. How about you? Are you sticking with Chrome? Do you have any other browsers that I should check out or are you happy switching between several different platforms?